A entrepreneur, network marketer and copywriter for more than 30 years, Joe has written programs and designed training for such organizations as the United States Air Force, United States Army, private companies and others. Joe has over 30 years of information systems and design experience and a health background in Cardiothoracic Surgery. He received his bachelors from Valdosta State College in Georgia, a Masters in Business Administration (MBA) in Management from Golden Gate University in San Francisco, and a Masters of Science from Concordia College & University. 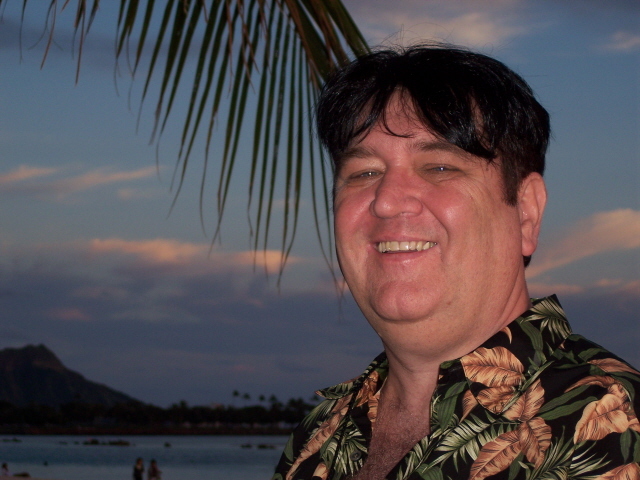 Joe is also a travel consultant specializing in the Hawaiian Islands, the author of numerous e-books and has published more than 100 articles on health, travel, and network marketing techniques. Joe has appeared as a guest on TV and radio shows while working to raise funds for chartable organizations and coordinated countless blood drives for the American Red Cross in times of need. Joe works with law enforcement officials in sponsoring free "Child Identification" campaigns to help identify children in case of wrongful abductions. He also works with communities in raising funds for free community programs that has housed over 25,000 people in one gathering. "Joe, The Vegas vacation was great. We actually came home with more money than we took. I love your www.Las-Vegas-Traveler.com website. You know we'll be using it again!" "I'd rather have 1% of the effort of 100 men than 100% of my own effort." That statement has been attributed to J. Paul Getty. At his death in 1976, Mr. Getty was reportedly worth more than $2 billion. It's safe to say he knew how to make money! So, what wisdom was Mr. Getty trying to convey. Very simple! It’s better to earn a smaller percentage through the efforts of many other people working on your behalf, than to try to make a lot of money by yourself. Why? Because, your time is a valuable asset. You only have 24 hours in a day and you can only be in one place at a time. But, when you get other people to work for you, you maximize your time and effort. Of course, you have to make it worth their while to help you. And, you do that by giving them the bigger share of the profits. Think about it! If you have 100 people selling your products, you have none of your time, effort or additional money at risk. You only pay them – If and When they’ve made a sale for YOU! Does this really work? In 2000, Amazon.com was granted the patent for the modern day Affiliate Marketing program. Did you know that according to Wikipedia, Amazon derives approximately 40% of all of its revenues through – you guessed it – Affiliate Marketing? And, what is affiliate marketing? In essence, affiliate marketing is the modern equivalent of old-fashioned referral marketing. You pay people for their efforts in referring sales to you. At Hawaiian Joe's World Of Products ecommerce website provides you with the ability to establish your own Affiliate Marketing Program. But, you cannot make money unless you put it to use. You'll be excited to know that we pay a 25% commission on product goods sold that affords you with the opportunity of making money by selling our quality products without the need to maintain an inventory - putting money in your pocket, day or night, from anywhere in the world. Learn to work smarter and you won’t have to work harder! So, who can sell these products? Anyone and everyone. Who couldn’t benefit from earning a few more dollars in this economy? Your children, your neighbor’s children, their parents, people at school, people at work, you name it - and, of course, people who have already seen or purchased our products. They can all use some extra cash. Stay-at-home moms are doing it, people at your church, synagogue or club, and people who have hobbies for which we carry products. If you meet someone who likes gardening, interest them in the gardening products you carry and ask them if they would like to make some extra money selling our products. That’s just for starters! You can even use your other marketing efforts to help locate new customers or people who need extra income. For example, if you sell at flea-markets, setup a display of flyers or postcards on your table with information on how people can earn extra money in their spare time - we'll give you an extra 10% override on their sales. Be sure to give one of those flyers to every purchaser. All you need to do is have them sign up at your unique website to obtain their own unique Affiliate ID. Just like you, your website will provide them with all the information they need to use this ID to make money. And, they can track their efforts anytime, online, through your website, without even having to contact you. They can view the commissions they’ve earned and access marketing ideas and materials. Some of these are provided by Hawaiian Joe, such as the new, private branded eCatalog, and you can add to your own - whatever it takes to make them successful. Remember, if they’re successful, so are you! And, we also can give additional incentives to those who bring us the most sales. At the end of the month, we simply issue them a check for the commission they’ve earned! To setup your site’s Affiliate Marketing Program, please join our Affiliate Marketing Program now! So, take a lesson from J. Paul Getty and Amazon.com and get your Affiliate Marketing Program started right away!